In a world of ever-merging musical genres, the inevitable results are the fusing of sounds that do and do not work together. Moreover, a band/artist’s identity may become blurred or enhanced in consequence of garnering such different sounds. Unfortunately for music writers, Glasgow’s Die Hard do not fit nicely into any of these boxes. Their experimental debut LP is at once remarkable as it is perplexing, comforting as it is disturbing. The band’s identity and their musical magnetism comes and goes. ‘In The Garden’ and ‘Here Goes The Rage’ strongly illustrate this dichotomy. An exciting, high-pitched whir akin to a surfer-rock tannerin opens the former track, before disfigured strings and dark European synths converge in bizarre fashion. The devilish, pitch-bent repetitions of “in the garden” evoke Biblical imagery that is soon intercepted by gratuitous, pornographic wails. It isn’t exactly a pleasant listen, but it is unique. A complete u-turn follows with, ‘Here Goes The Rage.’ Crisp, tinny acoustics and dazzling floods of “here goes the rage again” circle around Celtic whistles. It is extremely catchy and very reminiscent of early Biffy, yet at the same time comparisons are rife with Baltimore experimentalists, Animal Collective. Soon enough, tracks arise that are not so appealing to the ear. The slowed-down, unpredictable trip-hop rhythms and aggravating, industrial bleeps on ‘Mmmm’ make for an interesting composition (an aptly-titled track too, with nasal groans trailing throughout). But aside from this creative musical playfulness, is the track actually any good? I’m not so sure. It is frustrating that while the LP has its enticing moments, with ‘Here Goes The Rage’ and the attractive psychedelia of ‘Nailed To The Cross’, it never quite satiates. The mutated sounds that harvest the record’s gloominess are zapped by marching drum rolls on ‘980c’, but the track’s nascent strings remain bound. The smooth chillwave foundations of ‘See You Later Defibrillator’ are alluring, but never break into the beats you so crave. The centre-piece of the album, ‘Shiver Through’, is the strongest track. It is a crafted dream with languorous interplay of female and male vocals paralysed by lust and tumbling guitars. Yet lust is, and you are, deserted by the track’s indistinct ending. Even if it is meant to be some kind of extended metaphor for sexual dissatisfaction, it is a vexing, but also an astonishing listen. 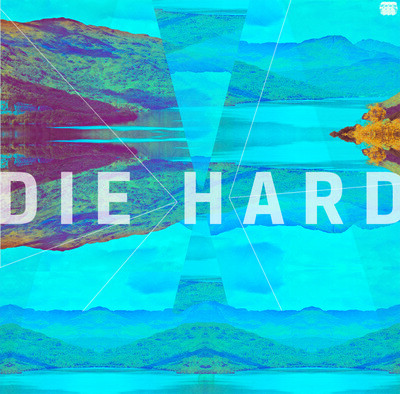 At the very last point on the album, Die Hard barrage you with hope. ‘We Said You Might Be Dead’ is a homage to every single choral-group based song ever written. It is as vast as Sub-Saharan plains with its unified, fiery tribal hums, and it is as promising as a Scottish army ready for battle with its stirring, Bagpipe drones. Synths ripple, warped vocals roar and tambourines build. Then it stops. 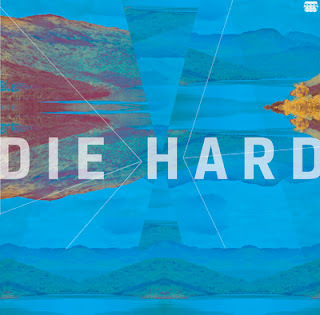 Die Hard’s eponymous LP will divide listeners as much as it will continue to divide me. The band’s intermittent identity will also continue to baffle. Perhaps it is intentional, but are they forgiven for the give-and-take nature of their music? Yes, because their potential is enormous.